Swansea, United Kingdom, November 13, 2018 – Pharm Research Associates Ltd. is a research center located in the United Kingdom. Founded in 1996, the center conducts commercial, physical and biological research and development. At their Swansea-based facility, Pharm Research Associates determined the need to upgrade the entrance door they had in place, which was no longer fulfilling their needs. 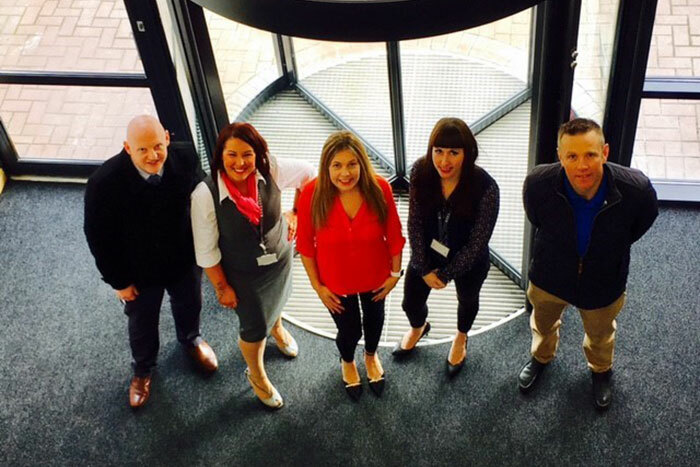 Having successfully installed a Boon Edam Crystal TQ revolving door at their Reading head office, the company turned once again to Boon Edam for expert advice on upgrading their Swansea facility. Pharmaceutical companies require enhanced levels of security due to the sensitive data stored on site. There is always a critical need to monitor and control who is entering the building, to prevent the risks associated with unauthorized access. Beyond an access control solution to support the company’s high security requirements, there was a need to control the flow of people entering and exiting the building. The center worked closely with Boon Edam to establish potential threats and ensure the appropriate level of security was incorporated into the new entry solution. It was important for the entrance solution to be correct, not only to meet the building’s requirements, but also to fit with the existing culture. Boon Edam’s team met with the client to present a range of possibilities and alleviate on-site personnel concerns about the perceived access issues brought on by heightened security measures. After evaluating the range of entry options, the client chose Boon Edam’s automatic Tourlock 180+90 security revolving door with an aluminum finish for its entrance. The Tourlock 180+90 prevents unauthorized entry attempts (tailgating and piggybacking), while supporting simultaneous, bi-directional throughput – a level of security that precisely matched the client’s needs. The project took eight months from confirmation to installation, and despite some bad weather, Boon Edam installed the new door in only four days. Boon Edam also provided a complimentary customer orientation, to inform the management and staff how to properly use and care for the door throughout its lifetime.